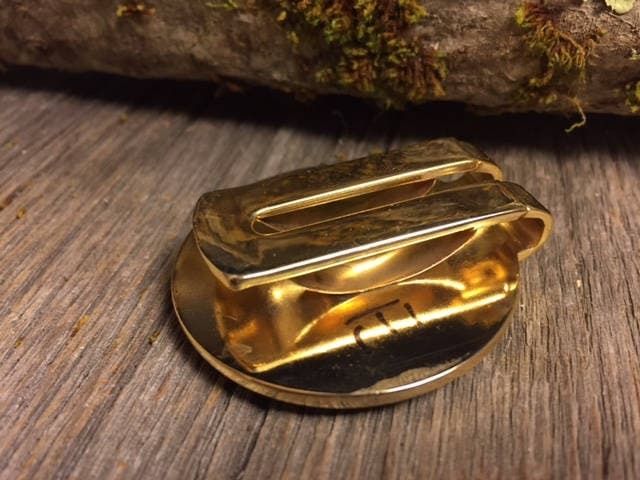 This simple and unique Money Clip features a gorgeous cut of Walnut Crotch , precisely inlayed into a 24K Gold Filled Brass Money Clip. The hand-shaped blank is cut from solid stock rather than a fake veneer, and is meticulously sanded and finished with oil and wax. 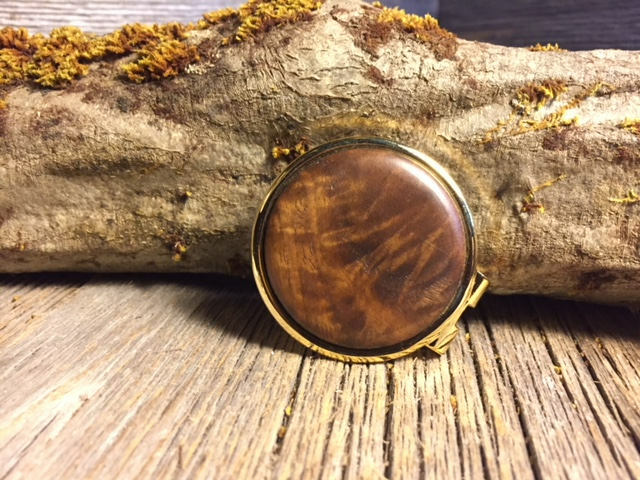 Every clip is unique in texture and grain, and boasts a beauty that only natural wood can achieve. 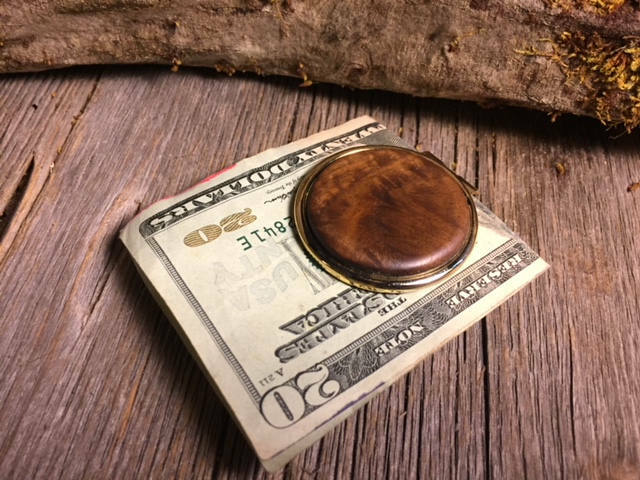 A full combo set of this wood type is available, as well as an assortment of Money Clips, Cufflinks, Tie Clips, Tie Pins, Pendants, and even Keychains; all crafted for the discerning connoisseur of fine hand-crafted fashion accessories. The clip itself has a Diameter of 1 11/16" (43 mm) and is 1/2" thick. This Money Clip is made from top quality Chromed Steel, making it durable and rust-proof.